Timepieces are important in the décor of any home. From tiny desktop clocks, to great, stand up case and grandfather clocks, these monitors of minutes and hours provide a valued service and an attractive accent, when they are tastefully chosen. Some of my favorite clocks are wall clocks. They don’t require the space of a standing clock, nor do they occupy a spot on top of another piece of furniture . Hanging on the wall, they allow you to tell the time and provide you with a good-looking piece of mounted “decorative art” to admire, all at the same time. Wall clocks can range from the traditional classic-looking wooden clocks with their long, shiny brass pendulums encased behind glass, to those fun, whimsical carved cuckoo clocks imported for our amusement. 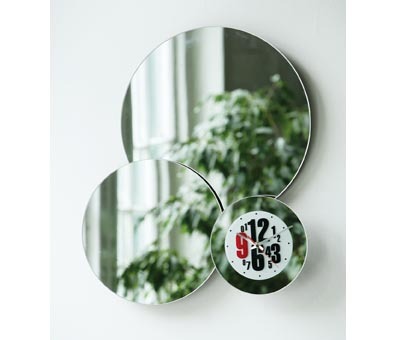 Modern clocks are also found in wall-mounted versions, and some of them are quite artsy and fun. Many are made by artists or built from their designs. Whatever sort you choose, you will need to keep a couple of things in mind. First, if the clock is key wound, then you will have to suffer the bother of winding it and, of making sure it is hung levelly. Key wound wall clocks that are not hung on the level will not keep proper time, and with continued use will damage the mechanism. If, on the other hand, your clock is electric or powered by a battery, you won’t need to worry about leveling it. You will, however, need to ascertain that you either have an outlet in the right place to provide the electricity or you will have to be prepared for battery changes. 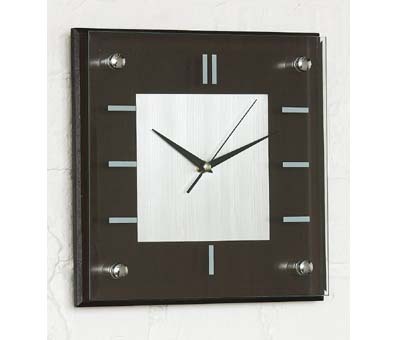 With so many styles of wall clocks, there is certainly bound to be one that will look right at home on your wall. It will keep you on time, and it will add decorative appeal as it does so.